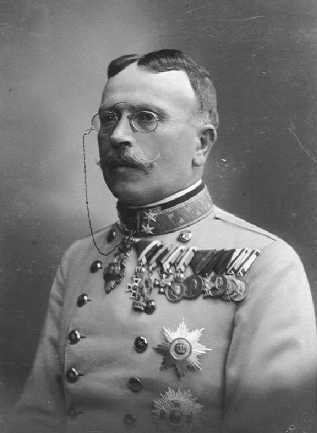 For the last decades of the Dual Monarchy’s existence, one man dominated discussion of tactics in Austria-Hungary, Army chief of staff Franz Conrad von Hötzendorff. The last peacetime tactical doctrine issued by the Imperial and Royal Army, the 1911 Infantry Regulations, reflected decades of Conrad’s writings. Conrad began writing articles in the late 1870’s, with a piece on the recently-concluded Franco-Prussian War and another on proper diets for men and officers. Then in 1882, he began writing on tactics, producing a stream of articles and books until 1908. His works were widely read and highly influential in Austria-Hungary, despite his relative lack of actual combat experience. Conrad became chief of the general staff in late 1906, and with the post came responsibility for Austria-Hungary’s strategic outlook. No one man held anywhere near as much influence over the methodology of his nation’s armed forces. Having developed an encyclopedic knowledge of the Franco-Prussian War, Conrad based his tactical systems on the lessons he drew from that conflict. Infantry would dominate the battlefields of the next war, and the most important factor would be what he termed the “Will to Win.” Soldiers and officers must be prepared to advance quickly, directly toward the enemy, and engage him with cold steel. The side with the greater fighting spirit would prevail. The Will to Win. 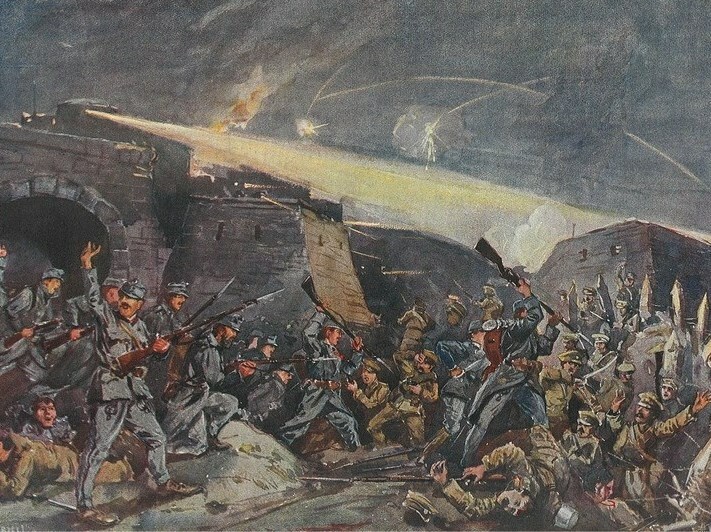 Austrian infantry deploy cold steel outside Przemysl, 1914. Conrad acknowledged the changes that rapid industrialization had brought to the modern battlefield: greater infantry firepower, much greater artillery firepower, and exponentially larger armies. That made the frontal assault even more imperative. There would be no opportunity to set up flank attacks, as Austrian tactical doctrine had recommended since the disasters of the 1866 Austro-Prussian War. With armies of such great size, there would be no flanks to turn. The increases in firepower meant that no defense could stand against it; the winner would be the army who could attack first and with the greatest moral certainty of victory. The infantry should attack in open order, not the massive columns of the 1866 stosstaktik, but otherwise Conrad advocated methods far more similar to the shock-based tactics that had led to Austria’s defeat against Prussia than to those based on firepower and maneuver that followed immediately afterwards. Austria-Hungary’s official observer with the Russian army during the Russo-Japanese War, Lt. Col. Maximilian Csicserics von Bacsány, offered a competing view in a book published in 1908, simply called Die Schlacht. A small, cheap paperback, it became a runaway bestseller, widely read and discussed among Habsburg officers. Csicserics (that's him over there on the right) described trench warfare, and how he foresaw trenches dominating the future battlefield. To counter that, he advocated night attacks, even more open formations (similar to the infiltration tactics that the Central Powers would adopt in the last years of the Great War) and the issuance of light machine guns to rifle companies. But he did not abandon the doctrine of the offensive. Csicserics pointed out that the proportion of casualties caused by bayonets in the Russo-Japanese War was double that of the Franco-Prussian War 33 years earlier. Clearly cold steel remained relevant, perhaps even moreso than before, though a Japanese officer visiting the Austrian Rifle School admitted that raw troops had to be flung against the Russians at Port Arthur, because veteran units would not march into the machine guns a second time. While Conrad did not appreciate Csicserics’s implied critique of his concepts, neither did he use the power of his office to suppress Csicserics’s work (as a serving officer, Csicserics required permission to publish). Conrad had long railed against such practices, and while he may not have been a competent tactician or strategist, that did not make him a hypocrite. Austro-Hungarian officers read Die Schlacht, discussed it avidly, and experimented with its concepts in their small-unit maneuvers. But it had no impact on the 1911 Infantry Regulations, which hewed thoroughly to Conrad’s four-decade-old view of the modern battlefield. The Guns of August. 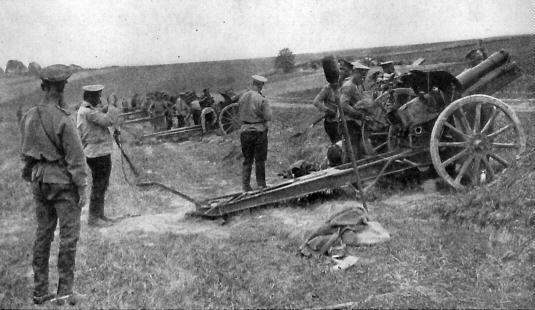 Russian heavy artillery in Galicia, 1914. Cold steel would be of no avail against such a rain of hot lead. Krauss still did not advocate for a defensive stance, but took Csicserics’s thesis even further, arguing that the infantry needed not only lightweight machine guns that could accompany an advance, but mobile and protected artillery of its own. However, Krauss noted, objectives should be taken at the cost of as few casualties as possible: Austria-Hungary simply did not have the manpower to trade losses with her enemies, particularly the Russians. While Krauss considered Conrad’s views at least a generation out of date, like almost every Austro-Hungarian general officer he agreed that the Dual Monarchy must go on the offensive in the looming war. To stand and defend would allow the Russians to bring their enormously greater military power to bear and grind down the Imperial and Royal Army. Only by mobilizing faster, and striking harder, could Austria-Hungary hope to survive. Krauss would go on to command divisions, corps and armies in the Great War and serve as chief of staff of the Southwestern (Italian) Front. Csicserics served as chief of staff of Fifth Army during the disastrous invasion of Serbia in August 1914, and after serving his time in career purgatory (overseeing bridge security), he commanded divisions and then corps for the rest of the war. While their careers survived Conrad’s enmity, their ideas did not. Austria-Hungary went to war in August 1914 with a tactical doctrine firmly based on the lessons Conrad drew from the Franco-Prussian War. Within three weeks, Austria-Hungary had suffered 420,000 casualties fighting the Russians in Galicia. The pre-war standing army had totaled 414,000. 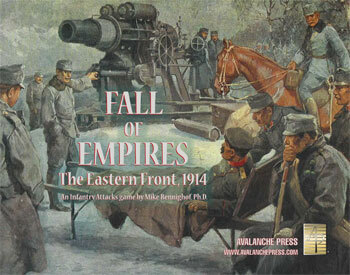 In our Infantry Attacks: Fall of Empires, Austro-Hungarian forces reflect both the fine qualities of the army Conrad destroyed in 1914, and the shortcomings that assured its destruction. The infantry has firepower equivalent to that of the Russians, and its morale is usually very good – the Austro-Hungarian regiments showed no lack of will to attack in 1914, and attack repeatedly despite enormous losses. The leaders are insanely brave (with very high morale ratings). In most scenarios in Fall of Empires, Austro-Hungarian infantry units must press their attacks with cold steel (in game terms, a more intense form of assault combat resulting in higher casualties for both sides), and are usually not allowed to dig in. The artillery is out-ranged by the Russians, and usually not allowed to conduct indirect fire. The cavalry branch did not follow the 1911 Infantry Regulations, and when fighting dismounted is not required to attack with the bayonet (they don’t even have bayonets), and is always allowed to dig in. Austrian arms won tactical victories in 1914, at places like Komarow and Krasnik. The Austro-Hungarian player can do so as well, but as Krauss observed, it will require careful coordination of infantry and artillery and superior battle management. Don’t wait to put Fall of Empires on your game table! Join the Gold Club and lock in your Early Order price!